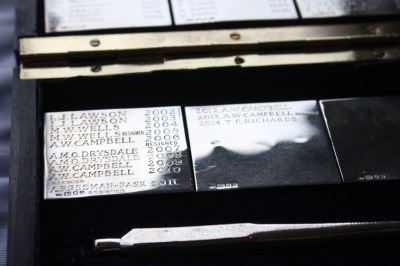 First raced in 1830 The Wingfield Sculls is a side by side single sculling race on the Tideway course in London for a pair of silver sculls presented by H.C. Wingfield, ‘to be held by the best, for ever’. 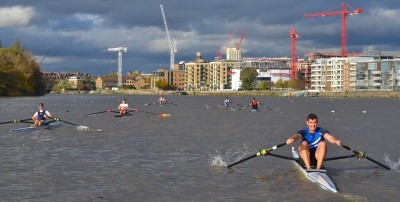 25/10/2018 - Ruth Siddorn (Leander) & Charles Cousins (Griffen) become our new Wingfields Champions with two dominant performances on the tideway. 23/09/2018 - The 2018 Race will take place on the 25th October 2018, entries will be considered at the AGM on 15th October. 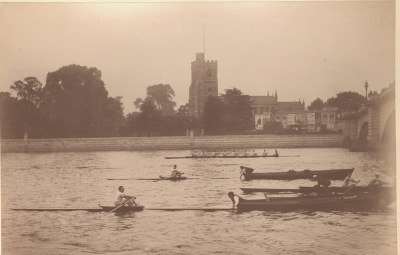 The Women's race will start at 13:15 and the men at 14:30 on the championship course between Putney and Chiswick. 16/11/2017 - Fran Rawlins (TSS) & Richard Clarke (UL) become our new Wingfields Champions with two exciting and closely fought races. 07/11/2017 - The draw for the 2017 race took place at TSS at the AGM. In the Women's race, previous challenger Vicky Thornley (Leander) will be looking to add the championship to her Olympic & Worlds Silver medal, she is taking on three very experienced tideway racers in the form of Fran Rawlins (TSS), Charlotte Hodgkins Byrne (UL) & Suzi Perry (Thames RC).